With the win on Tuesday, the Builders are back in the playoff picture. Sitting in 4th place right now, with 3 games to go so far. We have 2 games against under .500 teams and 1 game against the undefeated team in the league. I am really looking forward to our next games and towards making playoffs. By my calculations, if we win 2 of our next 3 games, we will be in! This is a big feat considering at the midpoint of the season we were 1-2-1-1 which is not the mark of a playoff team thats for sure. Last night, my ice hockey team was eliminated 8-6. It was a big thing for us to make it to the final 4 teams. I just wish I could have come up with a few more saves to help us win that game. All is not lost though….another ice hockey team made it into the finals and they may need a goalie. I was told last night this was going to be a permanent thing if I wanted it to be that way. So now, I have some choices. Do I stick with the team that I have played with all season or go with this new team? I figure I will play this Spring/Summer with them and see how it goes. I am really happy to be part of this team during the offseason. Ice hockey is so much fun in the summer. Ice times are eariler and while it is sweltering outside, it is nice and cool on the ice. My other teams are doing well all things considered. I haven’t had the chance to play for Dekleine the last few weeks, but that will change next week. 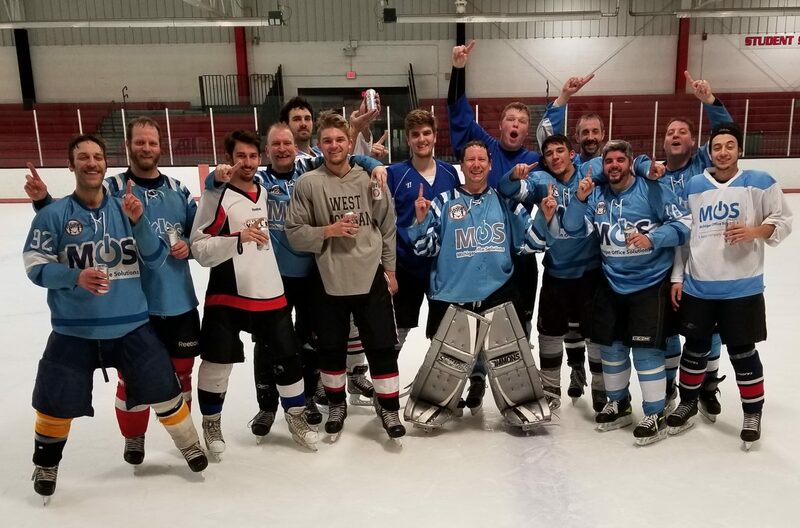 I then will need that next week off from playing with them so I can compete for the championship in my ice hockey league with that other team. I hope I have a few weeks off after that to play with Dekleine for the rest of the season and playoffs. After that, its all up in the air. My Friday Brass team goes against the 1st place team again tonight. We haven’t had luck in beating them yet, but I think this week is our week.